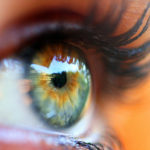 If the eyes are the windows to the soul, then the eyelids have a very important job to do. Excess fat around the eyes or loose and sagging skin can cause a person to look older, more tired, or generally unhappy. One effective solution is blepharoplasty, or an eyelid lift. 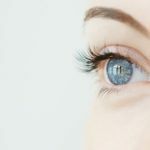 This procedure can improve the appearance of your eyelids and leave you looking younger and more refreshed. This procedure is used to treat a number of eyelid issues that can alter the appearance of both men and women. It can also help improve the function of the eyelids. This procedure can benefit you by improving the look of upper, lower or both eyelids, resulting in a more healthy and youthful appearance. The best candidates for an eyelid lift are healthy individuals who want to refresh the appearance of their eyelids. Ideal candidates are non-smokers who do not have any serious eye conditions or other illnesses that might hinder the healing process. Ultimately, a surgeon who specializes in eyelid rejuvenation will be able to best assess if you are a good candidate for this surgery. The only way to find this out is to schedule a consultation. During blepharoplasty, an incision is made on the natural crease of the eyelid (upper eyelid), the inside of the lower eyelid or just below the lower lash line (lower eyelid). This incision is designed to be concealed within the natural contours of the eyelid. Bulging fat in the eyelids is either sculpted or repositioned depending on the anatomy around the eyes. Excess skin can be addressed with lasers, peels, radiofrequency skin tightening or conservative excision. After the procedure is completed, the healing process can begin. The initial healing process may include bruising, swelling, irritation, or dry eyes for 1-2 weeks. You may also experience some slight discomfort at the incision site. Your doctor will give you specific aftercare instructions and answer any questions you have about the recovery process, such as what medication you should take after surgery and when you should return for a follow-up appointment. Discontinuation of blood thinners, herbal medication and aspirin products will be discussed prior to surgery (and should be discussed with your primary care physician). If performed by an experienced surgeon who specializes in eyelid rejuvenation, the risks for this procedure are minimal. As with any surgical procedure, there are some potential complications, but these are rare. Want to look as young as you feel? An eyelid lift might be an effective option for you. Consult with an eyelid rejuvenation specialist to find out if you are a good candidate for this procedure.